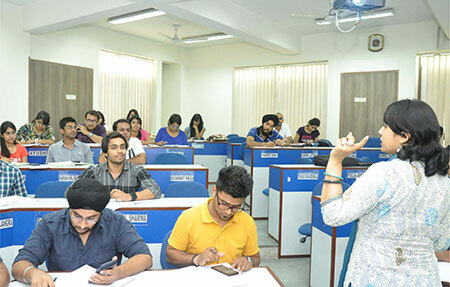 FIIB organised its orientation program for the batch of 2018-20 of its PGDM program on 8th June, 2018. 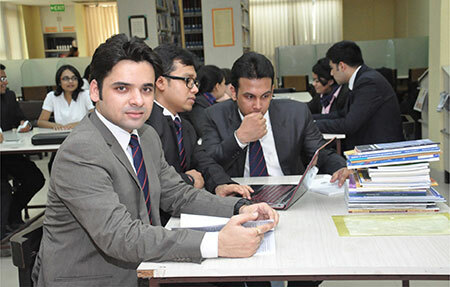 The campus was lit with joy as after a long and rigorous process of group discussions and personal interviews, the institute was able to shortlist the best 180 students to complete the batch. 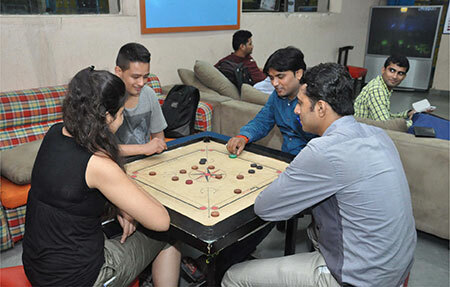 As Dr Nimit Gupta explained to the term ‘NEW’ to the students, the new north orientation program justified its name beyond what was comprehended. Motivational speech from Mr Saurabh Mittal, our guest of honour at the orientation program. Speech from Dr. Anil Kumar Sinha, Director, FIIB. Convenience stalls set up for students for books, bank and telecom and IT assistance. The orientation day started with registrations of the students and their document verification. The batch seemed very enthusiastic to begin the new phase of their career. The registration and document verification were scheduled since the morning till the mid of the day. The interactive sessions commenced at 12:30 which began with the traditional lamp lighting and Saraswati Vandana. The Students were addressed by Dr Digamber Parsad, who is his speech emphasized on the importance of ethics and dedication during these two years for students. His presentation shared the insights of FIIB and how it is ensuring the success of the students through revamping all teaching methodologies in sync with industry requirements. 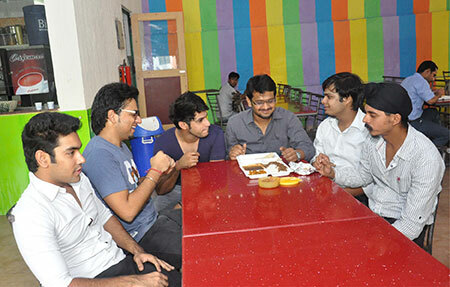 Mr Saurabh Mittal was our guest of honour at the orientation program. He heads the advisory board for course curriculum at FIIB. 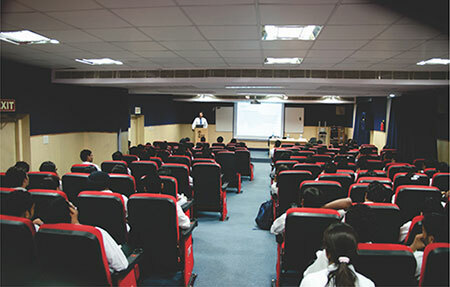 Mr Mittal talked to the students about the upcoming challenges in the field of business with the frequent technological changes and advancements. He shared a few tricks from up his sleeves, about to how to tackle these challenges. 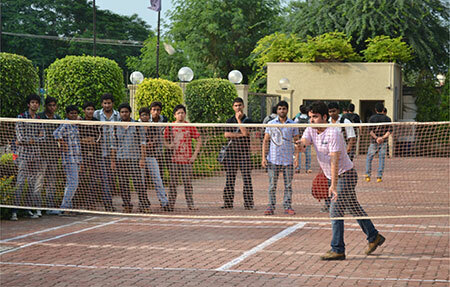 He encouraged the students to be open to the possibilities and take up every challenge that comes in their way. The business world is very diverse in its approach and the opportunities offered, which requires the young business managers have a welcome attitude for multiple perspectives. Ms. Radhika Srivastava, Executive Director, FIIB in her welcome address reminded the students of the promise of the institute to them that, this place will challenge you to achieve your potential, and create opportunities for your future success with the support of committed mentors and lifelong friends you’ll make here. She insisted on the relevance of our message of the tagline “Enter to learn, Leave to Succeed” which symbolises our dedication to the career growth of the students through diverse learning processes and ensuring their successful establishment into the corporate world. The Orientation program continued for three days for 8th, 9th and 10th June, 2018. The Program included a series of icebreaking activities through formal introductions and showcasing their extracurricular talents. The introductions also included the staff and faculty interaction with students to make them aware of the culture of the institute. 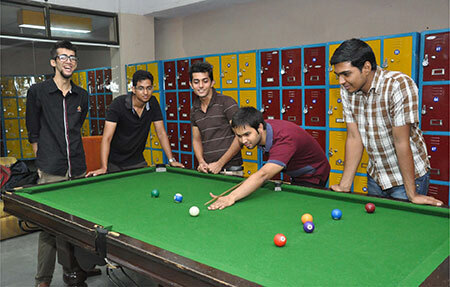 A series of fun games were played with the students, each one of which conveyed an important lesson of management. 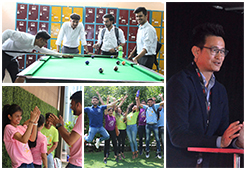 180 students from across 18 states with corporate experiences ranging from 3-5 years summarises the acumen and intellect of the batch. The orientation closed on a high note, with the students much impressed by the acceptance and welcome they had received. 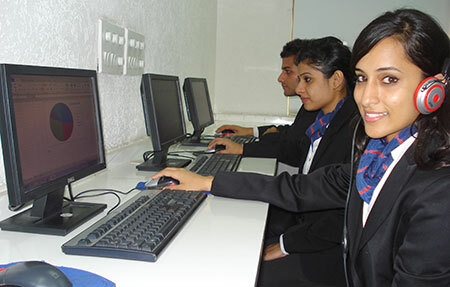 With the ongoing foundation courses are students are getting more gelled into the environment of the institute.